Steps in a flow can output a list of items, and up until today, the only way that you could handle such lists was with an Apply to each. 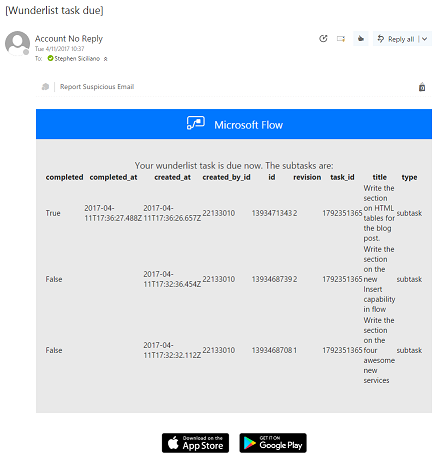 For example, if you get a list of attachments for an Email, you can upload each of them to your OneDrive for Business (as shown in this template). However, sometimes you want to get a list of items and include these items in a single action, such as sending an email with the items, or saving them all to a file. 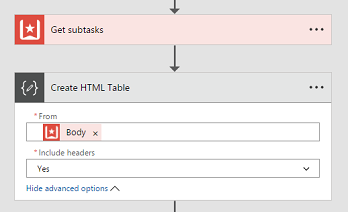 Today, this is possible with the new Create HTML Table, Create CSV Table and Join actions. Check out the template here to try this yourself. The second new action is Create CSV Table. This action is most useful when you want to save the contents to a file. 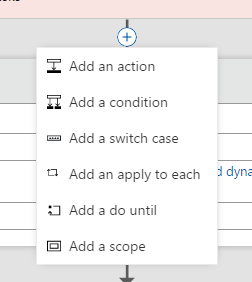 These new actions that interact with lists now make it much easier to run flows on a schedule. 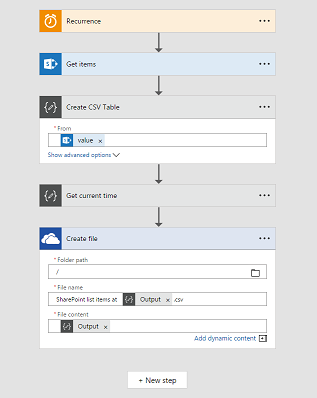 For example, you can have a flow that will run once a week, and save all of the items in a SharePoint list to a CSV file for archiving. This action works just like the HTML action, but instead outputs a CSV table, which you can then open in any spreadsheet program, such as Excel. Try out this template to see this example of how it works. Previously, you had to add every step to the bottom of the workflow and then drag-and-drop it to where you want. We have added new "+" buttons anywhere you can add an action, so now it's easy to insert a step right in the middle of a large workflow. Finally, we have also added support for the Computer Vision API. 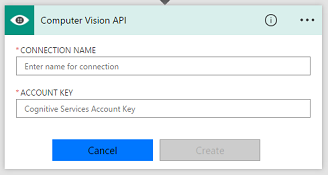 The Computer Vision API lets you create flows that extract rich information from images to categorize and process visual data. We would love to hear what types of scenarios you can build with this great new API on Twitter or on our Community Forum.